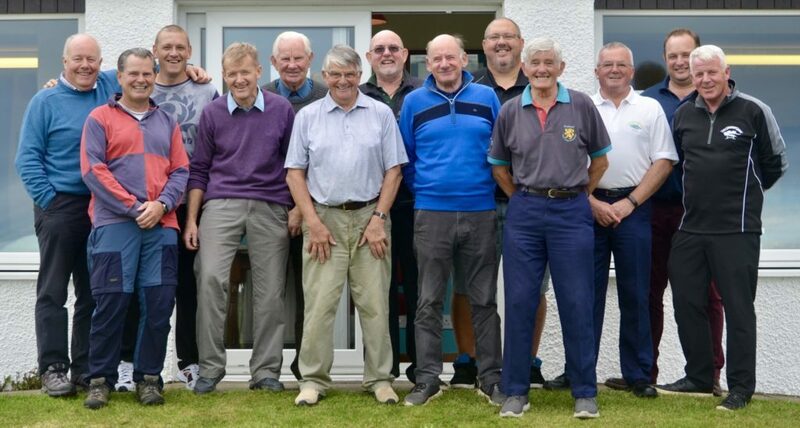 A warm breezy day welcomed Dunaverty’s Heidbangers for the annual Jimmy Graham Trophy event. This popular competition was again hotly contested and saw very good scoring. John McDowall, despite not scoring at the par five thirteenth, produced his best round ever going out in 32 strokes for 26 points and coming back with 19. 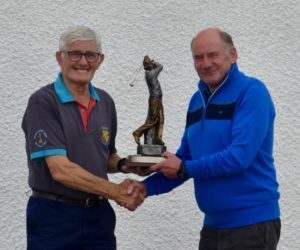 Bill Brannigan presenting the trophy to John McDowall. This proved an unassailable lead although he was hard pressed by Don Hardman who finished runner-up on 42 points. This was John’s second win having won the trophy in 2014. 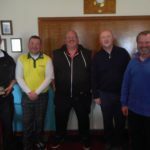 Club steward Will Anderson provided a presentation dinner in the clubhouse and greenkeepers David Scullion and Robert Irvine were thanked for having the course in superb condition. 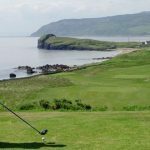 Result: 1 John McDowall 45 points, 2 Don Hardman 42, 3 John Brown 38(bih), 4 Sandy Watson 38, 5 Bill Brannigan 37, 6 Pete Garrett 34(bih).